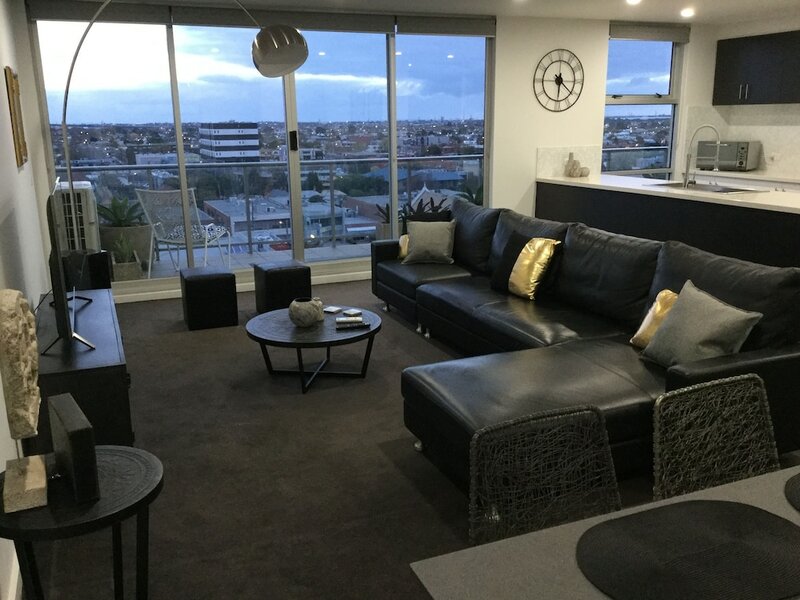 Situated in Northern Suburbs, this apartment building is within 3 mi (5 km) of Royal Melbourne Showgrounds, Flemington Racecourse, and Highpoint Shopping Centre. Melbourne Star Observation Wheel is 2.9 mi (4.7 km) away. Middle Footscray Station is 9 minutes by foot and Footscray Station is 10 minutes. An indoor pool, a fitness center, and a children's pool are available at this smoke-free apartment building. Free buffet breakfast, free WiFi in public areas, and free self parking are also provided. Other amenities include a 24-hour front desk, express check-out, and a garden. The apartment boasts a deep soaking tub and offers free WiFi and a kitchen. Guests can appreciate conveniences like 2 bathrooms and a washer/dryer, and other amenities include a refrigerator and a flat-screen TV. Housekeeping is available on request. In addition to an indoor pool, this apartment provides a fitness center and a children's pool. Wireless Internet access is complimentary. Guests can enjoy a complimentary breakfast each morning. This Northern Suburbs apartment also offers a terrace, a garden, and express check-out. Complimentary self parking is available on site. Start your morning with a free buffet breakfast, available each day of your stay. An indoor pool and a children's pool are on site. Other recreational amenities include a fitness center. If you are planning to arrive after 10:00 PM please contact the property at least 24 hours in advance using the information on the booking confirmation. Pool access available from 6:00 AM to 11:00 PM.Parking height restrictions apply.